XperiDo Server-side Document Creation SugarCRM, Inc.
XperiDo for Sugar is a server-side document generation solution, fully integrated with Sugar. It is without any doubt the most complete and powerful third party add-on to automate document creation for Sugar. The greatest looking documents are only two clicks away from any module list view or record detail view in Sugar. Simply select your XperiDo template and your document will be created on the fly, merging in data from your selected Sugar record and any related modules. Create your documents with dynamic names, in multiple languages and in any common document format. Include DocuSign digital signatures in your XperiDo-generated documents to start a digital transaction straight from Sugar. No more printing, signing, scanning and e-mailing to get your documents signed. Just a simple click on the XperiDo button to launch a digital signature transaction on the trusted DocuSign platform. XperiDo is a server-side solution. Templates, data definitions, services and assets are all stored in the central repository of the XperiDo server. That makes it an easy to manage and powerful document generation solution. The server component can be installed on premise, but you can also use XperiDo as a fully managed cloud service. With XperiDo it doesn't take more than two or three mouse clicks to create a great looking document. Personalized sales, service and even marketing documents can be produced in seconds,stored in the related document module, and delivered by e-mail. A professional approach to document creation entails optimal template management. 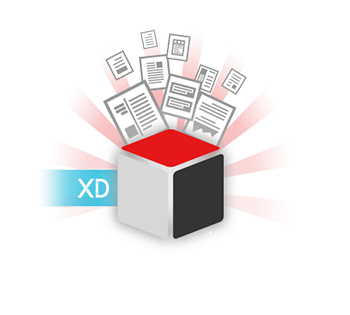 XperiDo allows you to stay in maximum control of your documents' lay-outs, corporate identity, and re-usable content blocks. XperiDo empowers you to personalize your documents to and help you deliver the right message in the right language to the right person. It facilitates communications and transactions, and can even prepare your generated document for electronic signing.